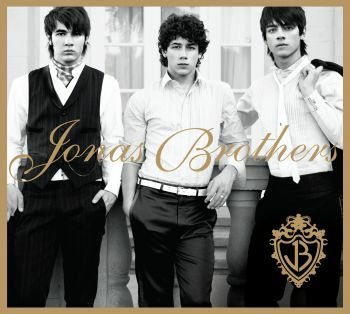 "~future mrs.nick jonas........he just doesnt kno yet~"
im in ♥ with the jonas brohters! *i love JONAS BROTHERS THEY R MY ADDICTION! Nick would rather: text a girl than call her. He doesn't mind being called: "the one with the curly hair". Nick's purity ring has: 'Poned' inscribed on it which means 'to be let down or disappointed'. Once lost his purity ring: and got a new one made at Disney World. Some people say: "Nick J is off the chain." His favorite drink is: 7-11's Slurpees. His favorite fast food restaurant is: McDonald's. Nick has an: iPod Nano. He hates it when a girl is: afraid to eat in front of him. He loves: Red Bull (an energy drink). His most prized possession is: his golf set. He has a: sidekick (cellphone) and he got it decorated. Nick wrote the song "SOS": based on a past experience. The thing Nick must have in the studio: is Hershey's chocolate. Nick's favorite song to play in concert: is "Year 3000." His Chinese horoscope sign is: the monkey. Nick keeps his closet: surprisingly clean. Nick loves: Green Tea Frappuccinos. Nick's favorite candy is: Sweet Tarts and gummy worms. If he were a crayon he says he would be the color: Royal Blue. His favorite cereal: is Cheerios. His most ticklish spot is: his feet. His favorite food is: steak. 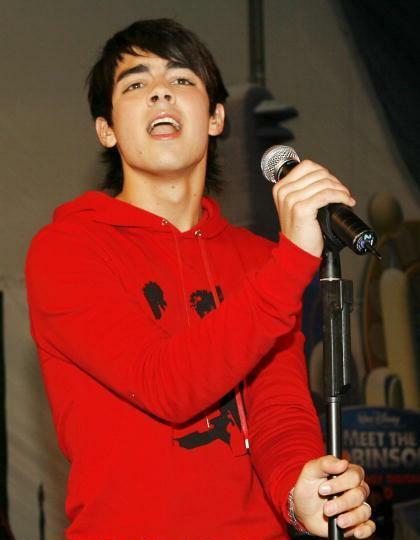 He is the youngest member: of his band, The Jonas Brothers. Nick wrote the song Please Be Mine. Nick plays: the guitar, drums and keyboard. 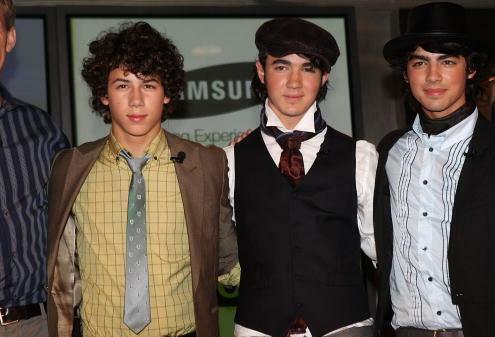 Nick has three brothers: Kevin, Joe and Frankie. Nick has: Type 1 Diabetes. He was diaganosed in 2005: while he was out on tour. Nick's most prized possession is: an Olympic Gold Medal. His hidden talent is: playing the drums. The first thing Nick notices in a girl: is her eyes. As of 2007, Nick is: 5'6" (1.68 m). Login or register to add xmrsjonasx17 as your friend!